Bladder cancer accounts for approximately one percent of all canine cancers. 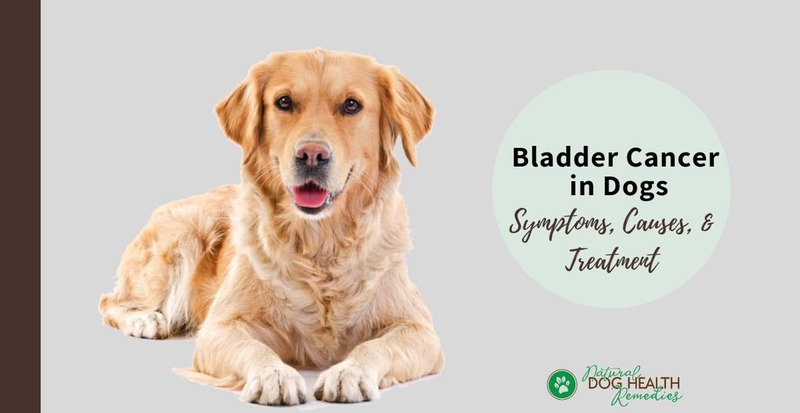 The most common type of malignant bladder tumors in dogs is transitional cell carcinomas (TCC), which usually affects the neck of the bladder in the area called the trigone. Since both ureters from the kidneys empty urine into the bladder in the trigone area, a tumor in this region is inoperable. At times, tumors may also arise in the upper part of the bladder. These tumors are usually more easily removed surgically. How Long Can A Dog Live with Bladder Cancer? Because bladder cancer in dogs is usually diagnosed at late stages, it has a rather poor prognosis. By the time it is diagnosed, the cancer will have metastasized (spread) to other locations, such as regional lymph nodes, the pelvis, and the lumbar vertebrae. Survival time ranges from a few weeks to over one year upon diagnosis, depending on factors such as the size and location of the tumor, and whether it has spread to other locations. If left untreated, bladder cancer can lead to complications from urinary tract obstruction (e.g. unable to urinate) within 3-6 months. 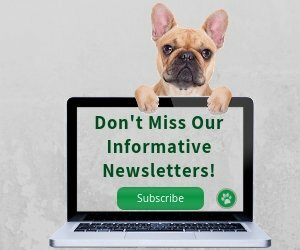 What are the Signs of Bladder Cancer in Dogs? recurrent infections of the urinary tract. 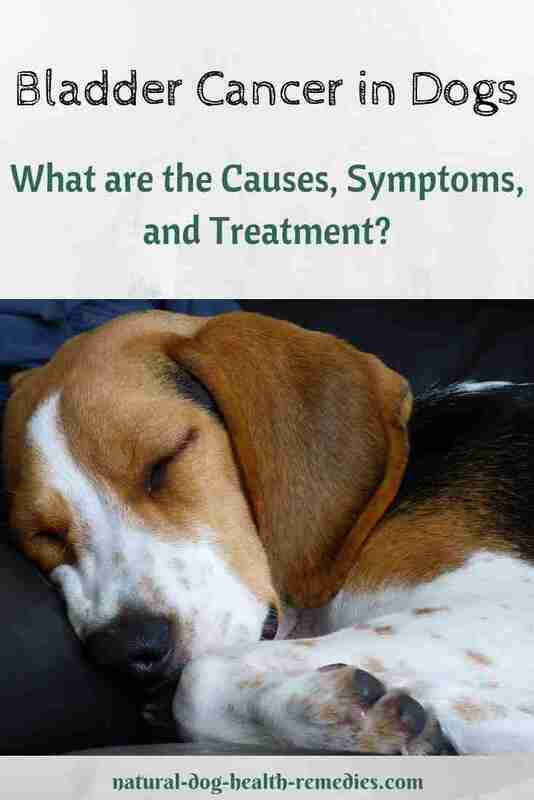 As you can see, these signs are similar to other diseases such as urinary tract infections and bladder stones. As a result, mis-diagnosis can occur and it may be months before bladder cancer is properly diagnosed. Therefore, it is important to request additional tests if your dog is showing any of the above signs and does not seem to be recovering even with treatment. The exact cause of dog bladder cancer is not clear. Some veterinarians believe that toxins may be one factor. When toxins enter a dog's body, they are processed and eliminated through, amongst other means, urine. These cancer causing toxins and chemicals (carcinogens) excreted in the urine may cause the cells on the bladder and urethra walls to become cancerous. Environment chemicals such as lawn herbicide sprays, mosquito sprays, flea and tick dips tend to increase the risk of developing bladder cancer in dogs. A study in 1989 showed that dogs who received just one to two topical pesticide applications had a whopping 60% increase in the risk of developing bladder cancer. Interestingly, this risk was enhanced in overweight or obese dogs! It has also been found that herbicide-treated lawns could lead to significantly higher bladder cancer risk in dogs. In a 2013 study, it was found that traces of herbicide were present in dogs' urine after their homes' lawn was treated with herbicide. To protect your dog from bladde cancer, therefore, avoid using chemical pesticides (e.g. flea/tick control) on your dog, and lawn herbicide on your lawn, or keep your dog off the lawn after herbicide treatment. The drug cyclophosphamide, and its metabolized carcinogenic chemical called acroleinis, is known to cause bladder cancer in dogs. 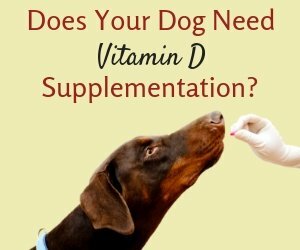 Therefore, if your dog has been treated with this drug, pay careful attention to see if he shows some of the above signs of bladder cancer. In particular, Scottish Terriers have an 18 to 20 fold higher risk of developing bladder cancer (TCC) than other dogs. Also, Shetland Sheepdogs, Beagles, West Highland White Terriers, and Wire Hair Fox Terriers are 3 to 5 times more likely to develop TCC than other dogs. Female dogs are affected more commonly than males. Bladder cancer is more commonly found in smaller female dogs that weight 22 pounds or less. One explanation as to why female dogs are more prone to develop bladder cancer is that female dogs do not urinate as frequently as male dogs, so they have a higher chance of being exposed to carcinogens in the urine. Another explanation is that female dogs have relatively more body fat and, unfortunately, the cancer-causing chemicals are stored and concentrated in fat. As well, for reason unknown, neutered dogs are at a higher risk than are intact dogs. Obesity is associated with the development of bladder tumors, especially among Scottish terriers. If there is persistent blood in your dog's urine, take her for a complete medical check-up immediately. To diagnose bladder cancer, cytology examination of urine will be used to identify and evaluate tumor cells. Complete blood cell count (CBC) will also be used to evaluate red blood cells, white blood cells, and platelets. In addition, abdominal X-rays and ultrasonography will be taken to evaluate the location and extent of the bladder tumor, and to check for metastasis. Please note that treatment of bladder cancer is rarely curative. More often than not, treatment only means controlling the cancer temporarily, relieving pain and discomfort caused by partial urinary tract obstruction, making the dog more comfortable and improving her quality of life. As mentioned above, when bladder cancer is diagnosed, usually it is already in a very advanced stage and has already metastasized to other parts of the body, such as regional lymph nodes. The primary treatment for most bladder tumors includes the use of traditional chemotherapy drugs such as cisplatin, carboplatin, adriamycin, and mitoxantrone. These drugs do have some effectiveness in controlling bladder tumors. A newer approach uses a non-steroidal anti-inflammatory drug called piroxicam (Feldene) which has shown anti-tumor effects against transitional cell carcinoma, as well as decreasing inflammation associated with the tumor. Remissions of six months or longer have been achieved with chemotherapy. This treatment option is only possible for small masses confined to certain locations in the bladder (upper part of the bladder). Unfortunately, as mentioned above, many transitional cell carcinomas are found in the neck of the bladder, rendering surgery impossible. Radiation can be used for local control of TCC growth in the bladder in some dogs. Unfortunately, radiation of the bladder can cause adverse side-effects such as fibrosis, bladder inflammation, and difficulty urinating. While natural remedies alone cannot treat TCC in dogs, they may help with symptom control and immune support. 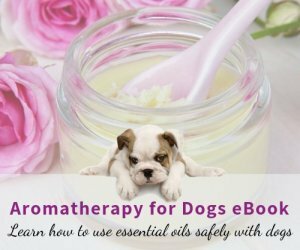 Visit our pages on Herbs for Canine Cancer and Dog Cancer Diet for more information on these two complementary treatment options.